Mired in spreadsheets? 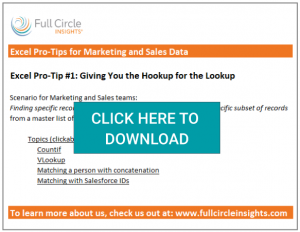 Trying to clean up your data for your marketing and sales teams? We’ve got you covered with this Excel template full of instructions, tips, formulas, and steps to whip your data into shape. 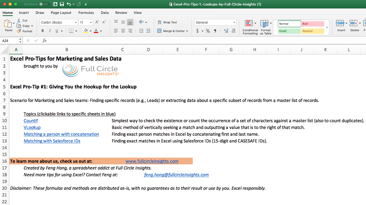 Thank you for requesting Excel Pro-Tips for Marketing and Sales Data.